I used to live next door to a pharmacist, and they get the best giveaways at their conventions. 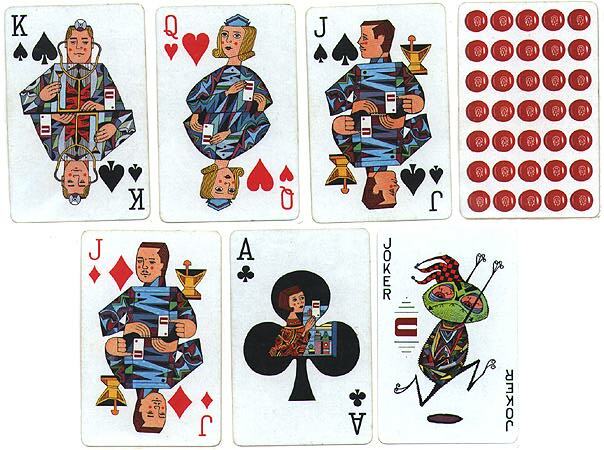 In this deck, the Kings are doctors, the Queens are nurses, and the Jacks are pharamacists. The Kings and Queens are all the same, and there's a one-eyed and two-eyed version of the Jack. The nifty Joker is whatever bad germ this stuff is going to kill.